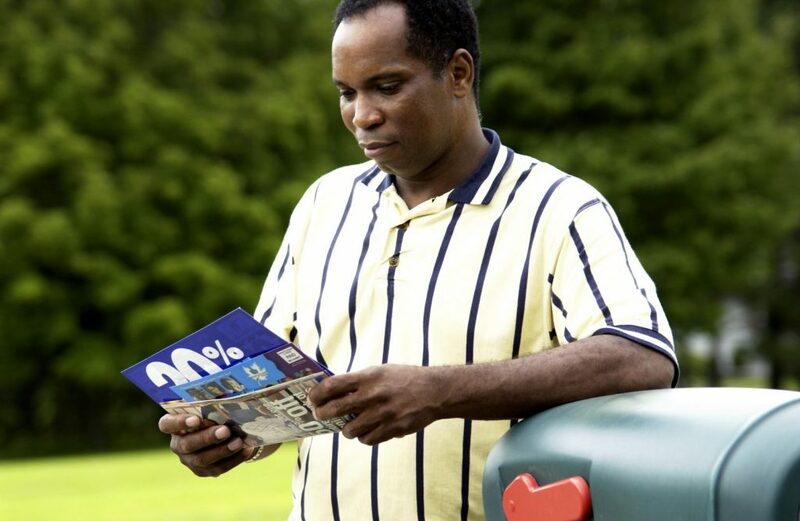 Direct mail is a great vehicle for reaching hundreds of mailboxes on the same day. It would be impossible to connect with this number of people any other way. We can’t call them because we don’t necessarily have phone numbers for all of them, and they may not answer anyway. We can’t place an ad in the paper because they may not subscribe to the paper or may not see that particular page where the ad was placed. If we advertise on radio, they may not be listening, listening to a different station, or mentally tuned out the commercials. Direct mail isn’t a perfect vehicle because the people to whom we send our flyer, brochure, postcard, leaflet, or other information have to be home to look at it, have to actually review it, and could discard it after just glancing it or not even considering it. That said, direct mail still offers a valuable, and relatively inexpensive, way of getting our message in front of potential decision makers. This is especially important with older generations. They may not be so connected with the internet, email, and texting, but they place a lot of stock in yellow pages, regular mail, direct mail, and conventional or traditional forms of advertising like newspapers. Getting our message into the hands of potential clients is not that difficult. There are mailing services, including the postal service, that can help us identify addresses and individuals that we might want to receive our message. Then it’s just a matter of creating the mailing piece and getting it sent. It’s what happens next that makes the difference, and we have to look at the advertising piece at the front or planning end – before it’s created. Typically, direct mail is a campaign, a series of mailings. If just one postcard, letter, flyer, or mailing piece was sent, the response to that mailing would be directly dependent on who was home that day, what else might have been vying for someone’s attention that day or few days after they received it, whether the piece was sufficiently attractive to them (shape, color, headline, or graphics, for instance), and if they retained it or immediately tossed it. A series of mailings, on the other hands, allows for all of this – initial disinterest, not being impressed with the appearance of the item, being busy or distracted, or not being at home. Over a period of several days, the chances of someone seeing what we sent to them and them acting upon that message are greatly increased with multiple mailings. Some people like to send essentially the same thing each time, and some like to create a message or theme that is conveyed over a series of four-six separate mailings over several days. So, what exactly do we want to say, and who do we want to receive our message? It can vary with each mailing, but one thing is critically important. Whatever rate or response we anticipate – from a very conservative number of less than one percent to a more substantial number of several percent – we have to make sure that we can physically handle this additional amount of inquiry. If we are struggling to talk with everyone in a timely manner who contacts us now, and then set up appointments to meet with them, maybe direct mail is not what we need to be doing right now – or cutting back to a significantly smaller amount. The deceptive part about direct mail for us is that it’s relatively easy and inexpensive to do – whether we design the mailing pieces and write the content ourselves or we pay someone to do this for us – and we often don’t think about how many people might respond to our message or offer. If we count on a very low response, we should wait until we have something stronger to share with the public. Of course, we have to determine what products, services, or solutions we want to concentrate on and who should get our message in order to appeal to people who might want what we are offering. People with a need for ramps, lifts, grab bars or other assistive devices are going to be different from people who are reasonably active and don’t regard themselves as needing that much assistance at present. Those without urgent needs are not going to be receptive to mobility solutions since they don’t perceive that there is anything to solve. In short, we need to determine what it is that we want to offer the people we are targeting with our mailings and then create the message to express this and that appeals to them and their needs. We might be offering a special or a discount for a limited time, or we might just be presenting new information that they had not known.